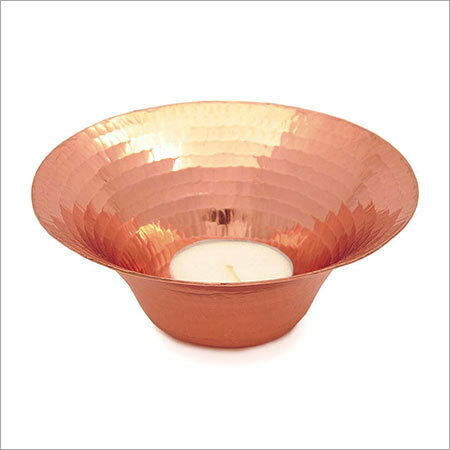 Our copper candle holder is a contemporary item that can be used for displaying purpose. The mouth of the holder is broad whereas the bottom is somewhat conical in which a tea light can rest in the center with filtered candle light. Any flat surface in your home can be equipped by our candle holder to offer a beautiful home decor theme.